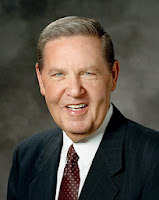 Elder Jeffrey R. Holland (1940- ) served as Church Commissioner of Education from 1976-1980, as the president of BYU from 1980-1989, as a Seventy from 1989-1994, and as a member of the Quorum of Twelve Apostles since 1994. "I say to mothers collectively, in the name of the Lord, you are magnificent. You are doing terrifically well. The very fact that you have been given such a responsibility is everlasting evidence of the trust your Father in Heaven has in you. He knows that your giving birth to a child does not immediately propel you into the circle of the omniscient. 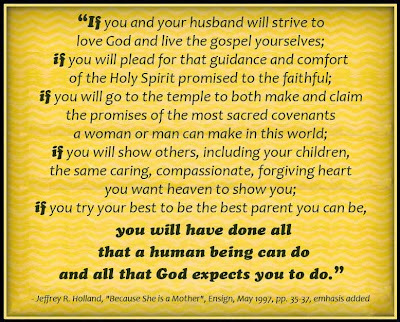 If you and your husband will strive to love God and live the gospel yourselves; if you will plead for that guidance and comfort of the Holy Spirit promised to the faithful; if you will go to the temple to both make and claim the promises of the most sacred covenants a woman or man can make in this world; if you will show others, including your children, the same caring, compassionate, forgiving heart you want heaven to show you; if you try your best to be the best parent you can be, you will have done all that a human being can do and all that God expects you to do." 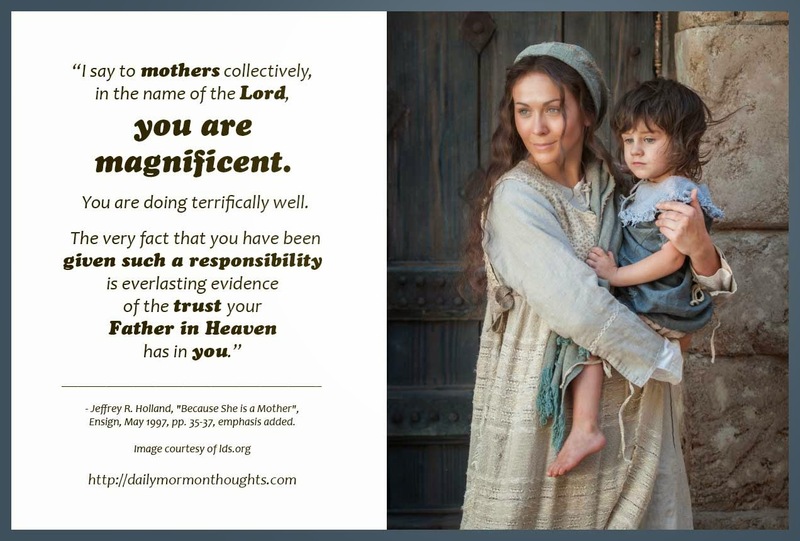 As "Mother's Day" approaches (in the US at least), we're reminded of the many times Church leaders have spoken in praise and appreciation for the noble work of those who bring children to the world or help to nurture and guide them in a variety of ways. 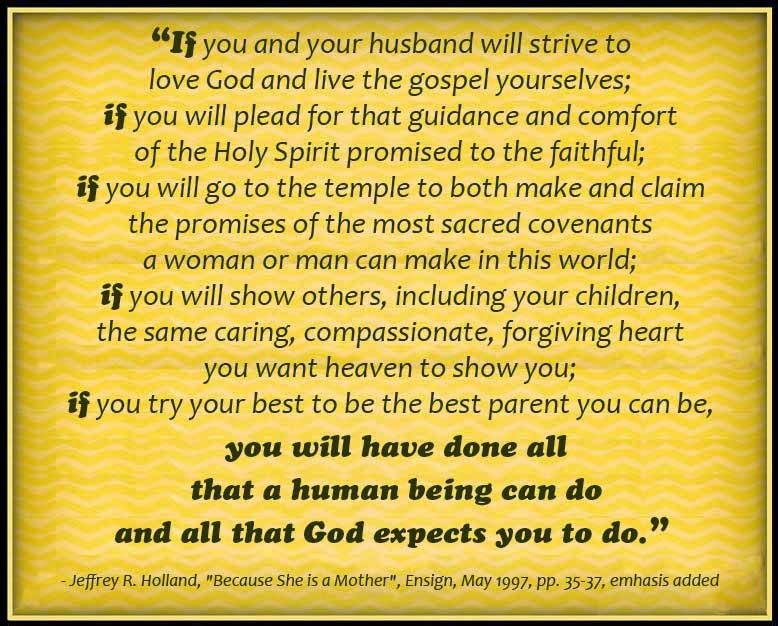 Elder Holland joins in the praise of those who "are at the very center of the Lord's purposes for us in mortality."